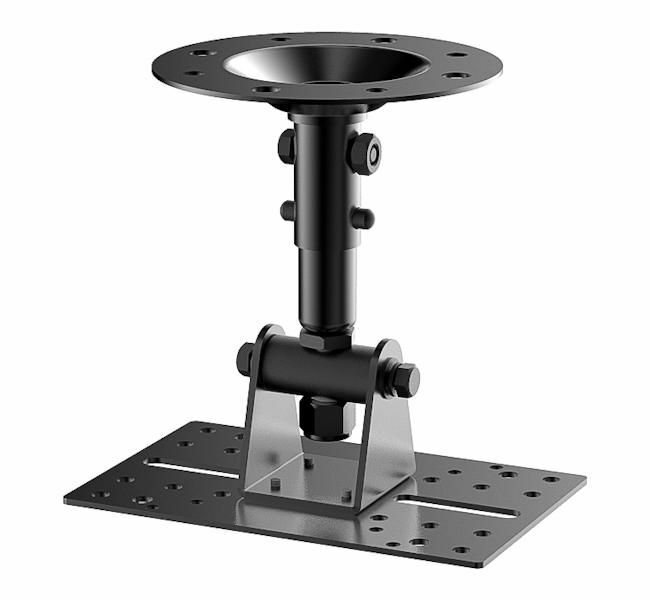 The Speaker Ceiling Mount for Large Satellite Type SP-OS03 is an ideal surround speaker ceiling mount for your home theatre. Suitable for speakers with thread insert on the back, top or bottom and traditional wood cabinet type up to 44lb (20kgs). 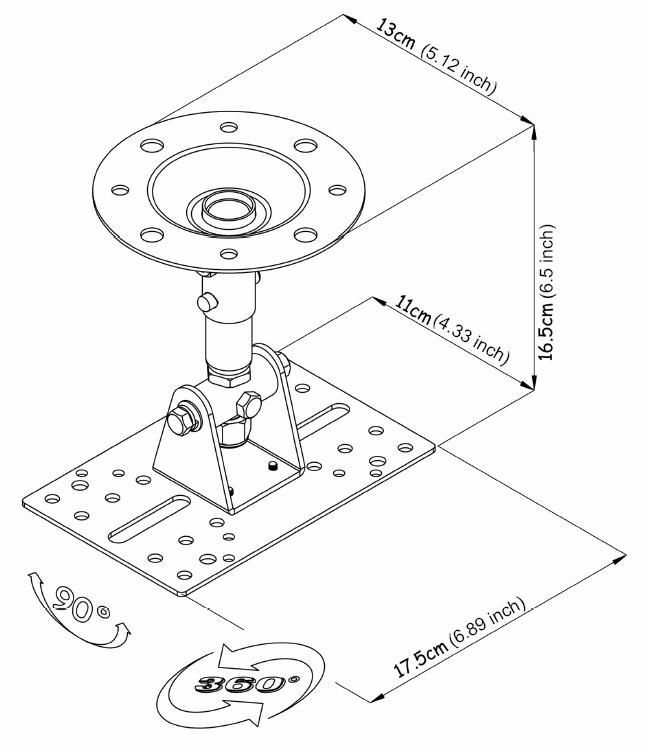 This speaker mounting bracket features 45° left / right swiveling and 360° rotation to help achieve the best surround sound effect. The extra chain protects speakers from unexpected accident.